Restorsea Lip Enhancer Review: Does It Give You The Best Results? PRO Restorsea LipMagic is marketed as a lip-defining treatment, that slowly wears away at the layer of skin that forms as we age, creating the illusion that the lip line has faded or thinned. With continued use, lips will look smoother, fuller, and younger looking. As we age, lips become less plump and we lose definition. This happens because an extra layer begins to form around the contours of our lips. This extra layer of skin creates the illusion that lips are thinning and the lip line is fading away. PRO Restorsea LipMagic is a lip treatment which is intended to reverse that problem altogether. In as little as 15 days, this product will provide you with smoother, plumper, younger looking lips, and the lip line will look well-defined. How does this work? PRO Restorsea LipMagic’s active ingredient, Aquabeautine XL slowly digests the unnecessary layer of skin without causing any irritation. For best results, apply PRO Restorsea LipMagic to clean, dry lips during your morning skincare routine. 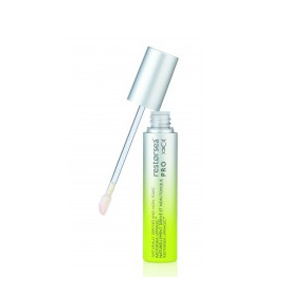 For best results, reapply this product up to three times per day. PRO Restorsea LipMagic retails for approximately $35.00 per 0.24 oz. of product at participating physician offices. Aquabeautine XL: This ingredient slowly digests the unnecessary growth around the lip line to reveal younger looking, plumper lips. 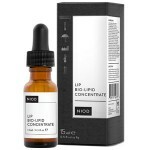 This lip enhancement serum is intended for all skin types. 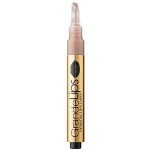 This product softens as it addresses the lip’s contours. This lip product claims to work in as little as 15 days. This product is a bit expensive for anyone on a budget. There are very few legitimate customer reviews available online. This product is only available through licensed physicians. PRO Restorsea LipMagic claims that it can slowly work away the unnecessary growth that causes lips to look thinner and less defined. Although this product makes interesting claims, there are several issues we’d like to address before you consider visiting a physician’s office to make the purchase. There are very few customer reviews online available to determine whether or not this product actually works effectively. Additionally, this product is not easily accessible. You’ll have to go through the effort of finding a physician’s office that sells this product, and they may have a different price on it than what’s available online. 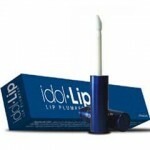 Lastly, the exfoliating effect this product has on the lips may cause irritation with continued use. Any product that claims to “digest” a layer of skin will surely continue with the process, even after the unwanted layer of skin is gone. 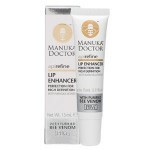 The concept of this product is rather odd and we’d recommend continuing your search for a product that can plump, hydrate, and reverse signs of aging around the lips without causing irritation. PRO Restorsea LipMagic is only available at participating physician’s offices. In order to determine whether or not there is a money back guarantee, we suggest that you contact the seller.